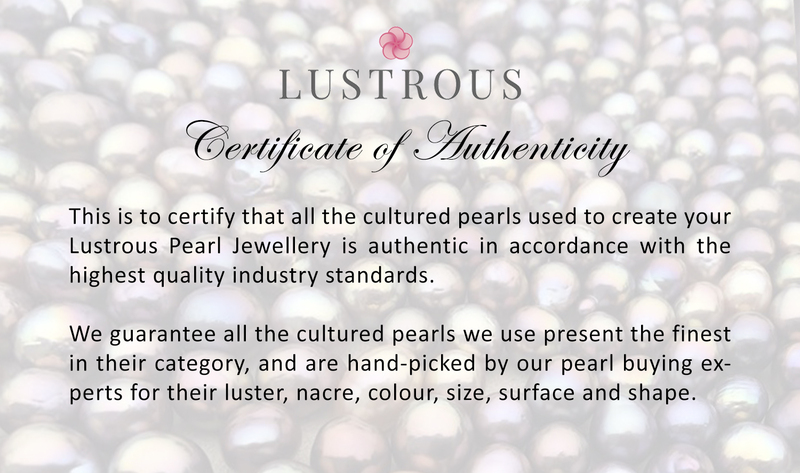 Every Purchase from Lustrous Jewellery comes with our Certificate of Authenticity and Pearl Care Guide. All of our pearl jewellery are created using authentic cultured pearls, hand-picked by our pearl buying experts. 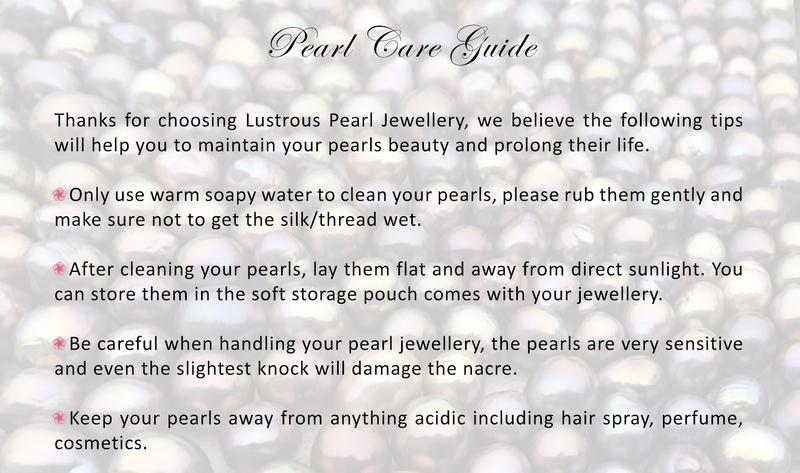 Every Lustrous Pearl piece comes with a one-year warranty, we will restring your pearls or exchange your pearls, subject to the normal wearing condition.